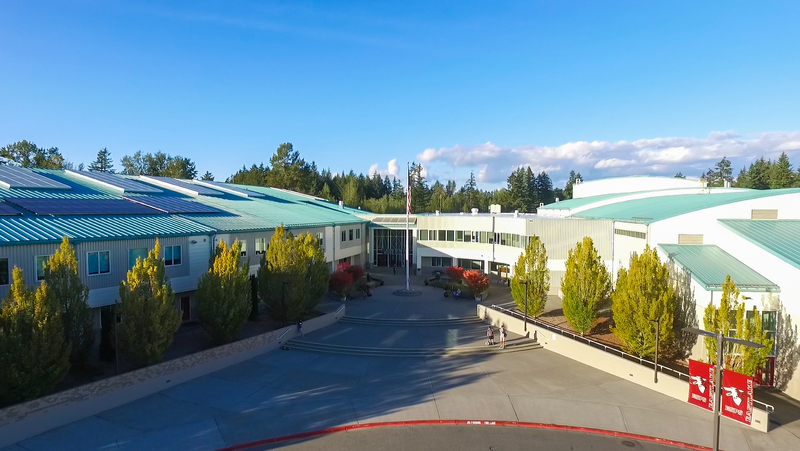 Eastlake High School (EHS) resides in an upper middle class community in Sammamish, Washington. The Sammamish Plateau encompasses two large school districts, Issaquah and Lake Washington. The north side of the Sammamish Plateau arose out of Redmond and the south side out of Issaquah, and the City of Sammamish incorporated in 1999. Eastlake is one of four comprehensive high schools in the Lake Washington School District (LWSD), a suburban school district that spans the Eastside of King County from Sammamish to Kirkland. It has 54 schools and almost 30,000 students. Students at Inglewood and Evergreen Middle Schools matriculate to Eastlake High School. In addition, the Eastlake Learning Community (ELC) is comprised of six elementary schools: Alcott, Blackwell, Carson, Mead, McAuliffe, and Smith. Eastlake opened in 1993 and currently serves over 2000 students. It opened as a member of the Coalition of Essential Schools, an organization whose Common Principles centered on personalization, student-centered instruction, integration and critical thinking. Eastlake also spent years implementing Professional Learning Communities (PLCs), which focuses on collaboration to improve student learning, and the use of data to inform and improve instruction.